Our apartment was beautiful as advertised, and the staff at RomeLoft was responsive to our needs at every turn and very helpful with anything we needed. The apartment was not cheap, but you get what you pay for and the apartment was just as we expected, beautiful, clean, and excellent location! 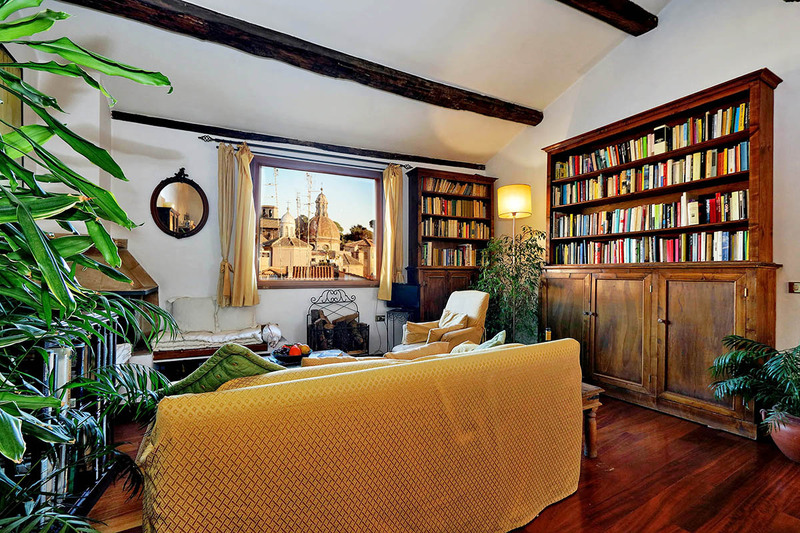 Very enjoyable stay in a comfortable flat, full of books and with fine views. The owner, Vittorio, was helpful and friendly. The only criiical comment is that the shower should really be renewed. RomeLoft staff a pleasure to deal with - courteous, helpful and welcoming. The apartment was exactly as outlined on the website. It was a bonus to find the kitchen much better equipped (cutlery, cooking implements, pans, crockery etc.) than is sometimes the case. Everything worked. Elegant design. Bathroom a little cold with limited hot water. Internet unstable. Small details in otherwise great apartment. The only problem we found was that the lift was tricky. I would suggest that a map and guide of the city in English would have been helpful.the kitchen area is small and rather dated however the rest of the appartment was airy and spacious. Vitorio was charming! We will hopefully be returning. Such a beautiful appartment on such a perfect location! You have to climb some stairs but the view from your balcony is a stunning reward! The building offers a lift, however there is also a flight of stairs leading to the 5th floor. The enchanting views and the bright terrace full of plants are a particularly lovely feature of this lovely unit. The living area has several comfortable sofas and armchairs, a fireplace, a library, a table with chairs, a flat TV and a DVD player. This is the perfect place to kick back and relax after exploring Rome for the day. Alternatively, use this to escape the summer heat for a few hours in the early afternoon. Guests have at their disposal many amenities, such as air conditioning, central heating, and Wi-Fi Internet. The classic master bedroom is spacious and features a very comfortable king size bed. From the bedroom, the view is breathtaking, overlooking all the major historical sites of the city. The elegant wardrobes will come in handy during your Roman holiday. The open cooking area is modern and includes a gas stove, a fridge and a freezer. Here you will moreover find all you need to cook up some delicious meals, or even just prepare a quick snack throughout the day. You can enjoy all of these at the authentic wooden table in the living area. The bathroom, decorated with antique majolicas, has a shower. 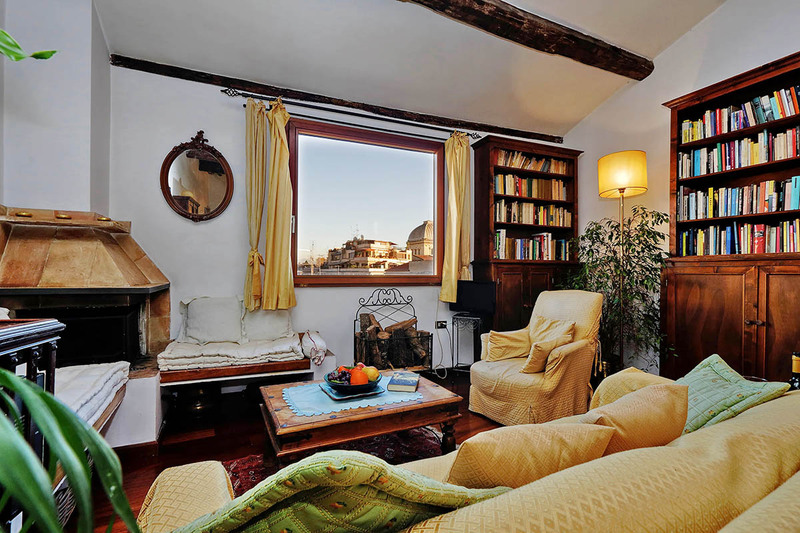 This beautiful Rome apartment is located on the 5th floor of a typical 16th century building on Piazza Costaguti; a melting pot of people in the heart of the city center, where everything is close by and where there is always something to do and to see! The Campo de’ Fiori also holds a daily morning market. Come here to pick some fresh produce to cook up a delicious meal at the apartment! This area is extremely central and is within walking distance from many attractions. 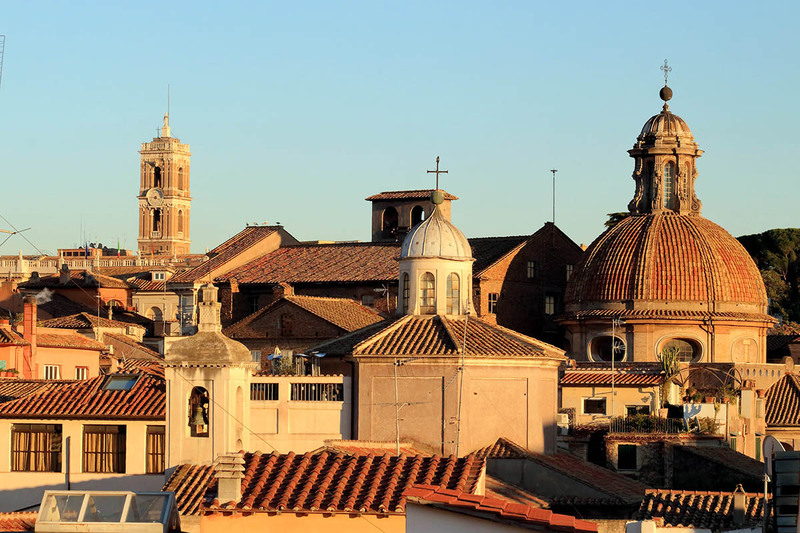 For example, in the North you will find the Vatican, Piazza del Popolo, and Spanish steps. To the East you will see the Trevi Fountain, and Monti. We would recommend visiting the Trevi Fountain at night. This way you can avoid the crowds that squeeze into its piazza during the day, and also enjoy the magical illuminations. Head South to see the Colosseum, Roman Forum, and the Palatine. In the center you will find the Pantheon, and to the west of Trastevere, another great place to be come evening. 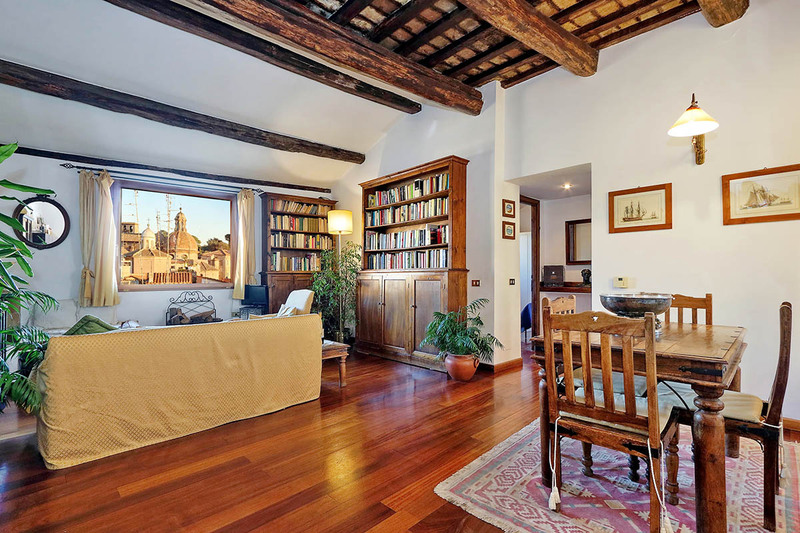 8 people are currently looking for apartments in Campo de Fiori area. Reserve yours now. 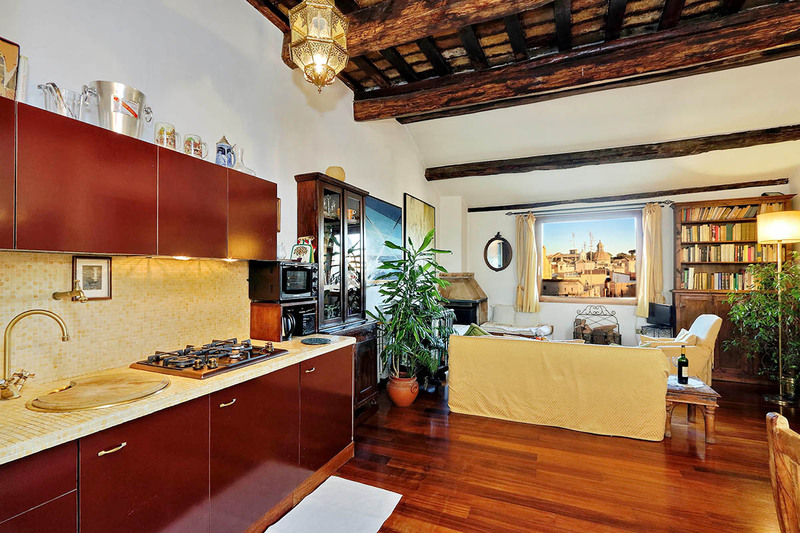 I can't praise the owner or Rome loft enough for this apartment. The photos don't lie. 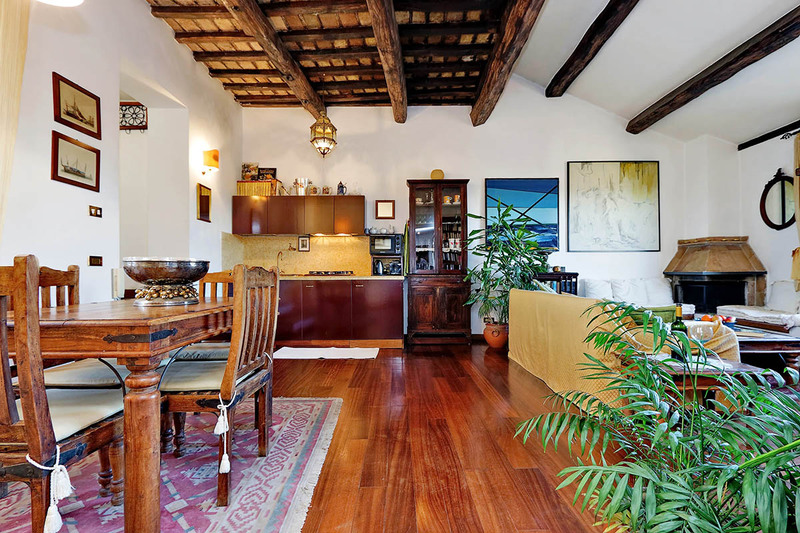 From the second you reach the door r o this lovely apartment you feel as if you are living in your dream Rome apartment. From the breathtaking views from the windows and the terrace to the very comfortable bed and charming kitchenette; it is all perfect...Read More. The apartment was exactly as described. The view and terrace were among the highlights of our stay. The apartment is comfortable, the aircons great and the bathroom really different and we did not find it smelly. The Internet was fine in the lounge/dining room area. We did not find the stairs to be a problem. They are wide and easily climbed. The s...Read Moretaircase is well lit, with light switches on the stairs outside every door on climbing up or down. Overall, we loved it here and felt so at home and would recommend staying here. The owner, who lives next door, is the sweetest man and gave us great advice on where to eat and so on without being interfering at all. 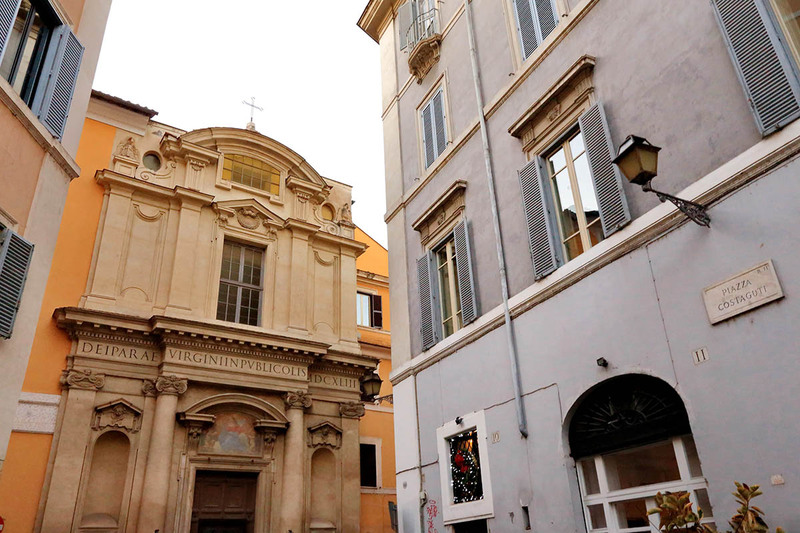 While Rome is very touristy, the old Ghetto is just perfect for getting that village feel. We had our best food experiences here too. Communication with Lorenzo was really good and professional. Cet appartement est très beau. Un balcon dans la chambre et une très grande fenêtre dans le salon font de cet endroit un havre de paix d'une sensualité romaine. L'accueil est agréable. Deux points négatifs cependant une odeur persistante dans la salle de bains et les services de Romeloft notamment au sujet de la garde des bagages no...Read Moren recommandée. The apartment was perfect for our needs. The location ideal for tourists to be able to site see and experience local life and facilities. During our 6 day visit, we were able to visit attractions all over the city, enjoy restaurants locally, buy good food from markets to cater for ourselves, use the transport network easily all from a central posit...Read Moreion. The owner was helpful and obliging. I would have no reservation in booking this accomodation on my next visit to Rome. 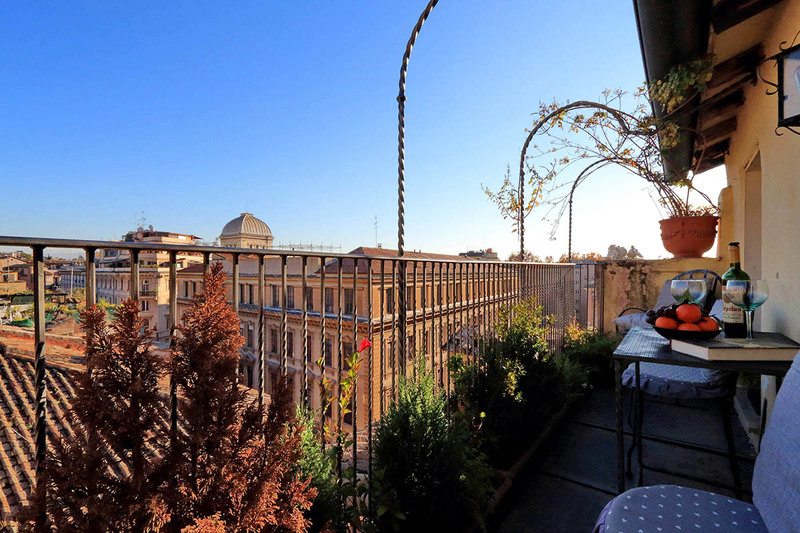 "Notre" appartement préféré à Rome avec une merveilleuse vue sur le Capitole depuis la terrasse bien sûr où il fait bon prendre son petit déjeuner mais aussi depuis le salon et presque depuis le lit. Literie neuve et très confortable (merci Vittorio !). Un endroit très chaleureux car décoré de manière personnelle, jusqu'a...Read Moreux bibliothèques remplies de livres, tout sauf du meuble suédois, cela devient rare. Sur la terrasse on profite des bonnes odeurs du forno (boulangerie) et de la pâtisserie où il faut faire une entorse à son régime pour goûter une pâtisserie exceptionnelle cuite au four à bois : la pizza hebraïca, on perçoit aussi la rumeur de la rue (piétonne) où les gens s'apostrophent, se saluent, les bambins sortent de l'école, tout cela fait de cet endroit un lieu très vivant, le tout à 2 minutes du tram qui conduit vers le Trastevere et à 2 minutes de la Piazza Torre Argentina qui dessert tout Rome. Vittorio le propriétaire qui habite à côté est charmant et Romeloft assure la communication avec professionnalisme et réactivité. Sorry... I can't translate this into a suitable English. Appartement de grand confort, disposant d'une petite terrasse avec très belle vue sur les toits romains. Très calme, confortable, literie parfaite. Juste un peu difficile d'accès avec des bagages (2 étages sans ascenseur). Situation exceptionnelle dans le ghetto, à 5 minutes à pied du Campo di Fiori et du palais Farnese. Un séjour ...Read Moreparfait ! 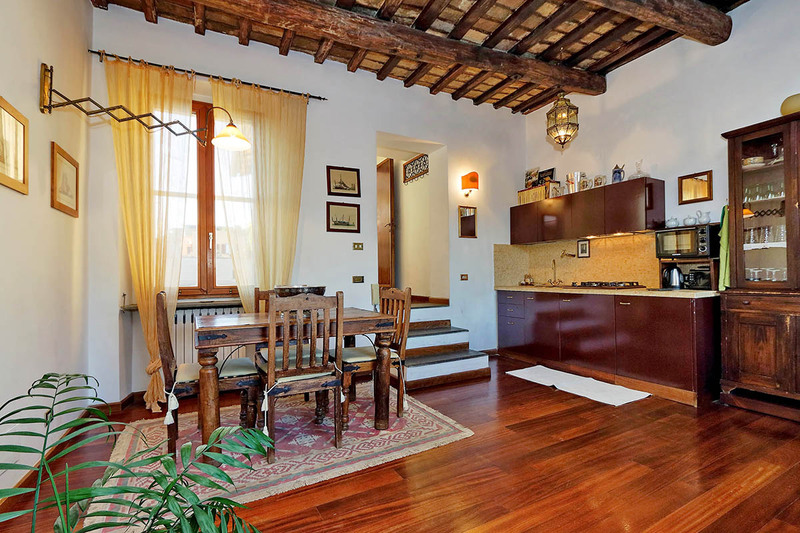 This was a delightful little apartment right in the heart of the Jewish Ghetto. We loved it. The apartment was on the top floor but there was a small lift that got the bags most of the way, which was fabulous. The bed was comfortable and the apartment was very cosy and full of character. It was a delight to stay at home! As in all Rome apartme...Read Morents the shower was a dribble but having said this, I really did not expect anything else. Everywhere I have ever stayed in Rome had plumbing problems. You can't really cook much in the kitchen because there is no oven but it is certainly enough to make a pasta, salad or breakfast, which is all you need. There are too many good restaurants within walking distance to spend time cooking! Would we stay here again? Absolutely we would! It was really fabulous! The apartment was excellent, with a real warm feel to the space and well furnished with lots of painting and prints on the walls. The small balcony was east facing and therefore a joy to sit out in the warm sun and eat breakfast watching the world go by below us. The bed was large and comfortable and we slept well after our sight seeing in the day....Read More We were a bit late arriving to the apartment but Roberto who had been waiting for us quickly came back and met us. He was extremely helpful giving advise on where to eat and what to visit. The owner Vitorrio was most helpful when we needed a document printing and it was good to know he was on hand to ask any questions. The area was great with all the major attractions being in walking distance. I would recommend this place to anyone other than those who struggle with steps. My only gripes were the noise from the roosting birds at night as we sleep with the windows open (but this is not untypical in a city centre) and that with such a magnificent bathroom, the actual shower was not very poweful, however it did the job. I stayed in this apartment the second time and as before, everything was great. This is the most beautiful apartment I have ever seen and the owner of the apartment Vittorio is the nicest Roman I have meet. I had really great time and I enjoyed the beautiful view from the terrace drinking wine with my friedns. I truly recomend this apartment. I wil...Read Morel come back there for sure! This very comfortable one bedroom apartment is located at Piazza Costaguti 34 in a very secure building. We did a Google map search with satellite view to identify the building before we booked. Separate keys give entry to the street front door, interior gate in the entrance hall, lift to the second floor (then walk one flight of stairs), a doo...Read Morer to the stairs leading to the apartment and to the apartment itself. The Rome Loft representative who checked us in helped get our two cases up the stairs! The lounge-kitchen-dining area is comfortable and well fitted out for self-catering if you need it. 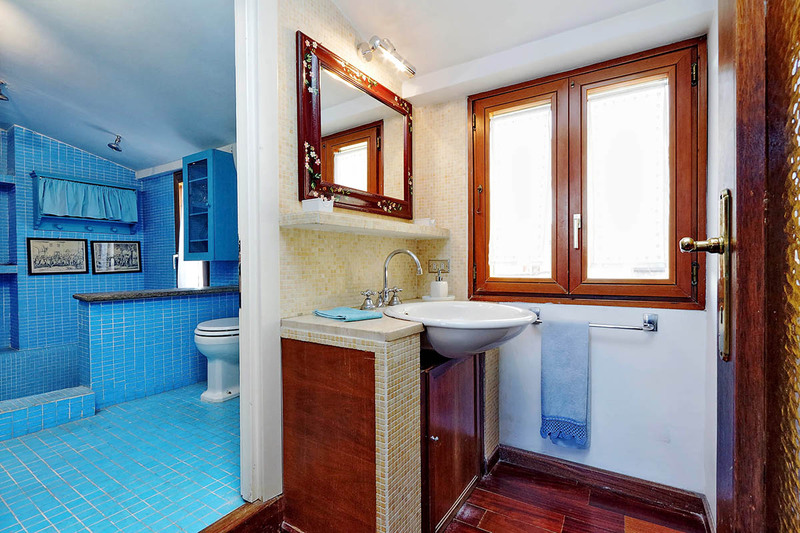 The double bedroom is spacious and comfortable and the bathroom is roomy. A door from the bedroom leads to a small terrace with a table and two chairs where we enjoyed our aperitvo and glass of wine looking over a 180 deg view of the rooftops of Rome. The website should definitely include a picture of this view - it is lovely and we particularly enjoyed the full moon while we were there. 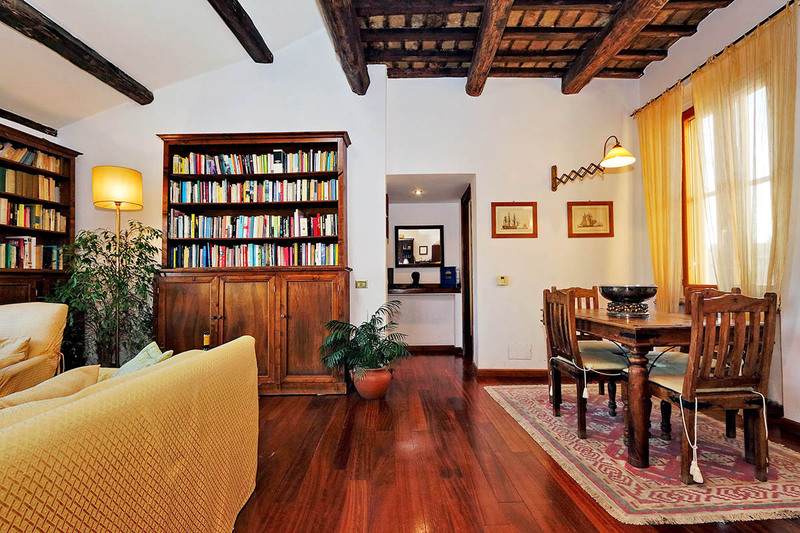 The apartment is very well-located for walking to the main tourist attractions. We are in our 70s and it was a comfortable walk to the Spanish steps, Piazza Navona and the Pantheon. A walk the other way will bring you to the Circus Maximus. The apartment is very close to Via Aventura where the No. 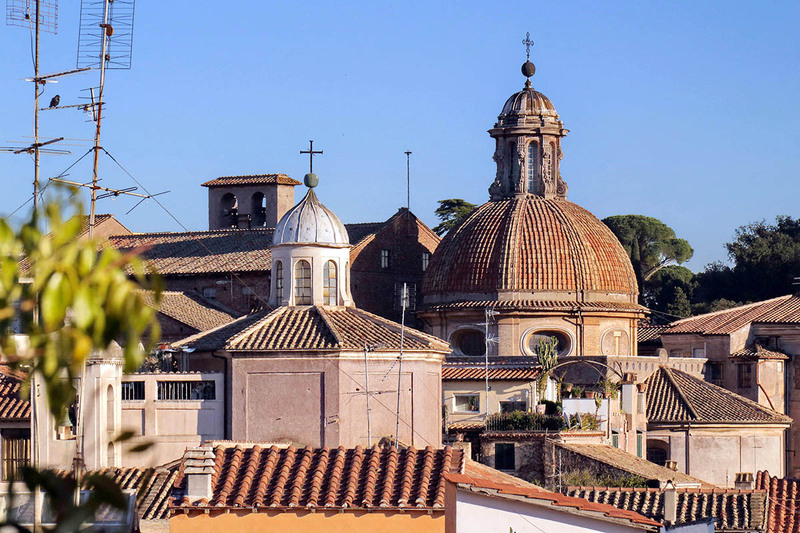 8 tram will take you to Trastevere with its many restaurants. 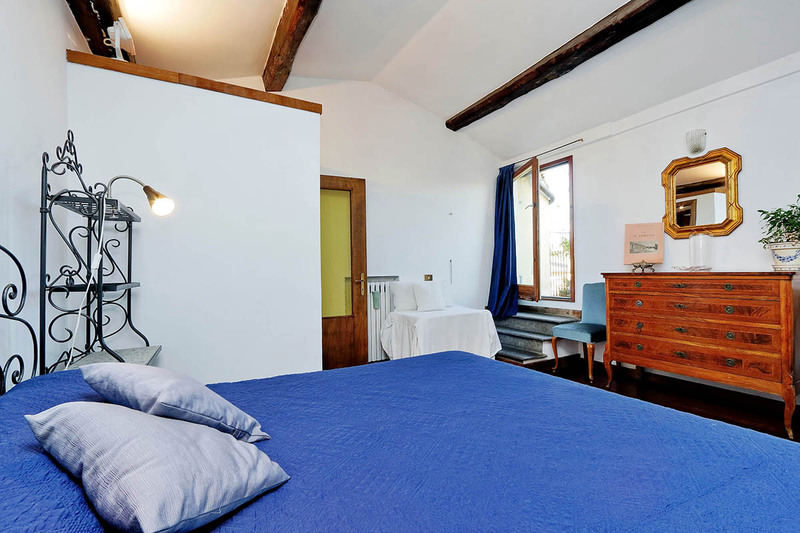 The apartment is situated at the edge of the old Jewish Ghetto region and 5 minutes walk to Portico D'Ottavia, a significant archeological site. There are good restaurants close to the apartment. The apartment has free wifi and a hairdryer (Rome Loft please update your information!) and the neighbour who was very friendly did my husband's laundry for us. We would definitely stay here again when we next visit Rome. Our six nights at this wonderful apartment truly exceeded expectations. We were familiar with this part of Rome generally, but the location right at the Jewish Ghetto immersed us in local and cultural life, from the amazing cherry cheesecake at Kosher Cakes to the moving museum at the synagogue around the corner, to watching children arriving at t...Read Morehe Jewish school. The balcony was a perfect spot to see and hear everything while drinking coffee or an end-of-the-day glass of wine. We walked to everything when we could tear ourselves away--including delicious meals right around the corner--Il Portico, for example. The apartment had everything one would wish for a comfortable stay, including a small, cleverly fitted-out kitchen. The owner, Vittorio, even rescued us from a short evening power outage by greeting us at the top of the stairs with an antique candelabrum. We've tried to think what would make it even better and can suggest only a bit more comfortable seating for the terrace. Of course, then one might never leave. 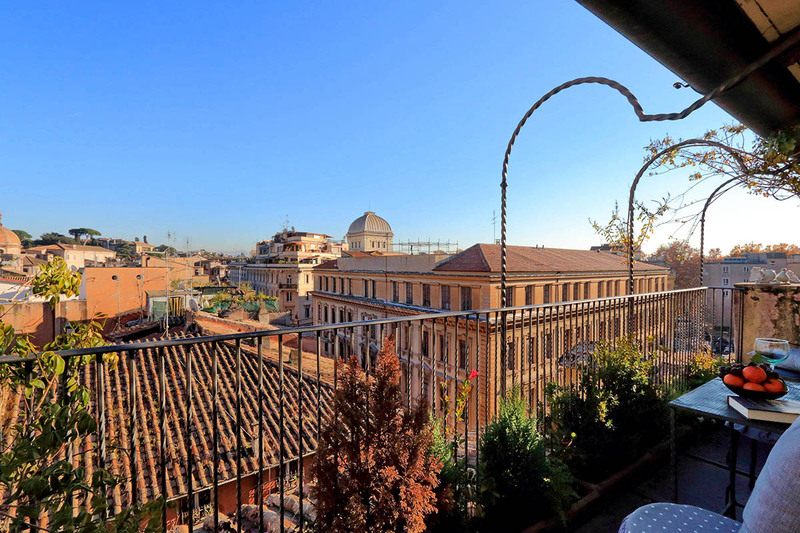 I stayed at the Piazza Mattei Terrace apartment for 10 days and I liked it very much. It is very comfortable, homely and well designed apartment. 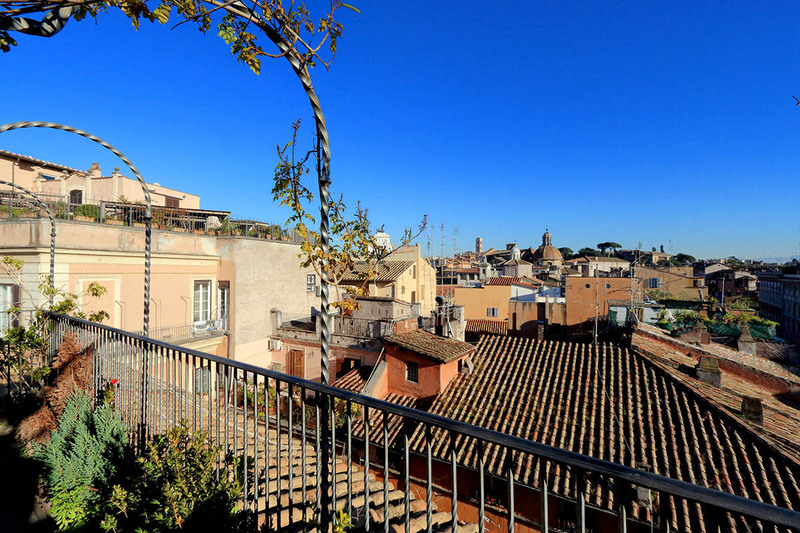 I loved the small balcony and the marvelous view over the roofs of Rome. I sat out there every morning for breakfast and almost every evening with friends having a glass of wine. Everything was great. It&...Read Morequot;s the very centre of the city but it is the quiet quarter I slept there very well. It is the Rome apartment from my dreams. And the owner of the appartment, Mr Vittorio living next door - one of the kindnest persons I met at Rome!! I will come back there!! And I recomend this place I you want to have really nice and romantic holidays. We had an excellent 5 nights in this slightly quirky but very comfortable and homely apartment. We loved the small balcony and sat out there every morning for breakfast and every evening for pre-dinner drinks and nibbles, and one night a cold platter feast of cheese, olives, meats and bread - all from the bakery immediately below the balcony. Fant...Read Moreastic. The views of the city roofs to some of the monuments are great and a perfect setting for a romantic break. 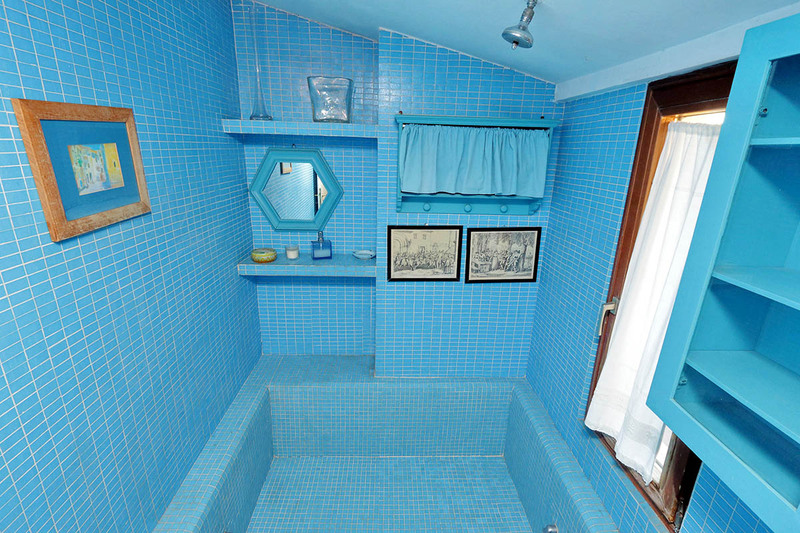 The double showers over the blue tiled bath are great. Try filling the bath with hot water and with a bath bomb from Lush (just off the Piazza Campo De Fiori), add plenty of tea lights and some easy music and a bottle of wine or champagne for a perfect romantic bath for two. 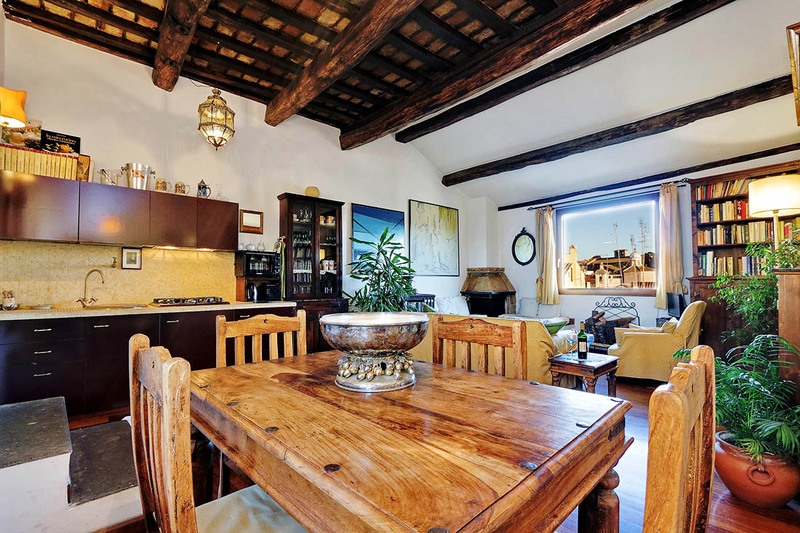 This apartment is perfectly placed for all of the major sights in the city, nothing is more than a 20-25 minute walk through the streets to get to. We only used a bus once to get to the Villa Borgese and that cost just 1.5 euro each! Try the restaurants in Via Del Porto immediately under the balcony - particularly the first called Restaurant Il Porto - good food, good house wine in carafes, all very well priced and served without fuss. There is a supermarket close by (too complex to explain the route but within 5 min walk of the piazza, but equally the bakery come deli downstairs will pretty much give you the basics. Try the pizza rossa - its delicious - especially when warm. Apartment owner who lives in an adjacent apartment was very friendly and helpful - sorry about the mix up with the rubbish/re-cycling Vittorio !! Just a small point, the apartment is actually situated in Piazza Costaguti and not Piazza Mattei which could be confusing if you are arriving without any knowledge of the area. We took the car option from the airport which was a lovely treat and saved a lot of hassle and took us to the front door. On the sunday we had planned to get the bus to the station for the train to the airport but the 40 and 64 buses were jam packed and we eventually gave up and jumped in a taxi for a 48 euro fixed price fare straight to the airport. Overall, this was a superb little apartment - bed is massive by the way and very very comfortable, with just enough kitchen equipment and stuff to be able to cook a basic meal, but what makes it so nice are the books, pictures, nice furniture, free and good wifi, simple touches plus of course the balcony and bathroom (if you like the latter as described above). 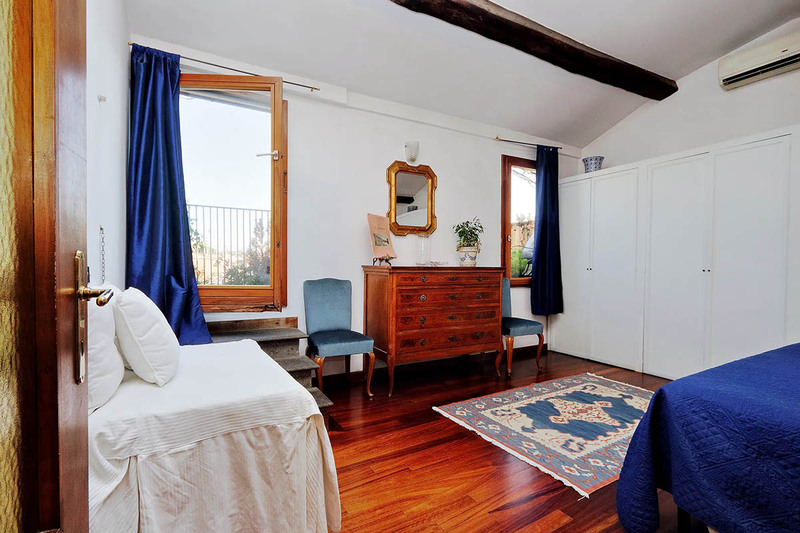 We will definitely come back to Rome (our three coins each in the Trevi says so) and we will definitely book this apartment and highly recommend it to our friends to stay there. A suggestion would be to provide a short guide to the apartment to explain some of the facilities and how to work stuff like the heating if you need it and what to do with the rubbish/recycling etc. Thank you. 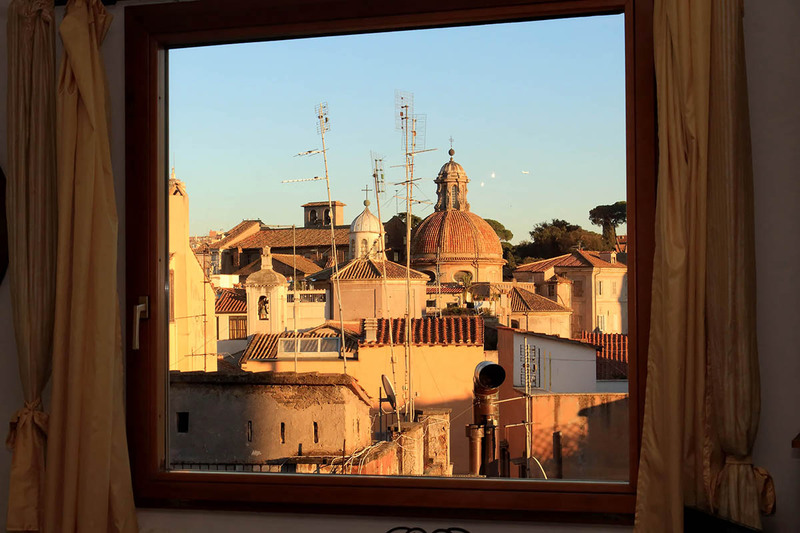 We stayed at the Piazza Mattei terrace apartment for our honeymoon and the views were lovely from the roof terrace. You do need to be quite fit though as the apartment is up 5 flights of stairs and the lift isn't currently working very well. Whilst the apartment was very rustic and provided comfortable accommodation, we did feel that the kitch...Read Moreen wasn't sufficiently equipped unfortunately. There was also an iron provided but no ironing board. The apartment was fairly clean, however, parts were a little dusty. Overall though, a very comfortable stay and the location is fantastic in terms of the local restaurants and access to the main tourist sights. The terrace is lovely to sit out on in the evening and listen to the hustle and bustle of the street below, whilst admiring the scenery. très joli appartement, très bien placé. Stayed at the Piazza Mattei in May 2012 with my husband. It is a beautiful place filled with lots of light and gorgeous views right from you living room. I chose this place cos it was central and had a terrace and was located in the old part of Rome. I very much enjoyed living here, everything was in walking distance, and we walked to every histori...Read Morecal sight in central Rome. Would definitely recommend this place for a couple wanting to experience the old Rome. Anna, Melbourne Australia. What can we say? absolutely loved staying here, it was the perfect location for our honeymoon: incredible views of the city, walking distance from all the main sights, markets and restaurants and an amazing artisan bakers within smelling distance. Vittorio, the owner, was really helpful and left us to it. If you want to immerse yourself in local Ro...Read Moreman life then this is the place for you! 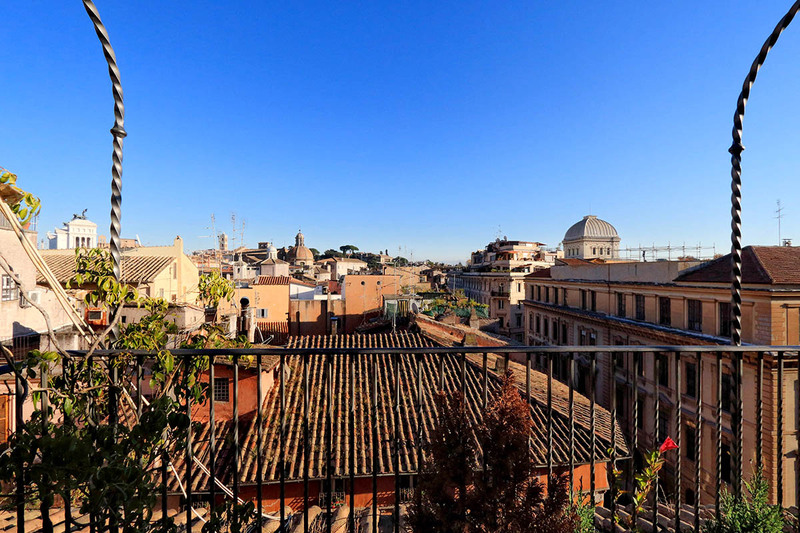 We spent 10 days in the Piazza Mattei Terrace apartment at the beginning of January 2012. Had a wonderful time, the weather was nice and could be enjoyed each morning, when we had outer breakfast on the terrace and normally stayed out there, reading for an hour or two before going for the long daily walks. Due to the central location, we actually o...Read Morenly used public transport once! Also, we used the airport transport offered by Romeloft, and that worked perfectly well. The apartment was in fine shape, very clean, well equipped and serviced, and quiet. It really was a luxury for two people. And then, on top of the apartment, to have an excellent baker on the ground floor! Hope to come back!